I’VE been doing a lot of pillion riding lately and I reckon I’ve earned those stripes. My balance rivals that of a Russian gymnast and it’s all I can do not to scream “wooh” and throw my arms in the air when we go round tight corners, just to prove my point. No more headbutting helmets whatsoever, nor helping drivers steer. So I’m starting to plot about my own bike. It’s a Harley ‘Hardly Drivable’ Davidson I’ve got my eye on, thanks to a recent FHM article, which is basically the only thing that has informed me. But by fuckery, those Harley Sportsters look neat. I’ve decided that by the time my 365 days of tomfoolery are over, I must have my driver’s licence, my pilot’s licence and my motorcycle licence… something tangible to come out of this venture, other than the shits and giggles. 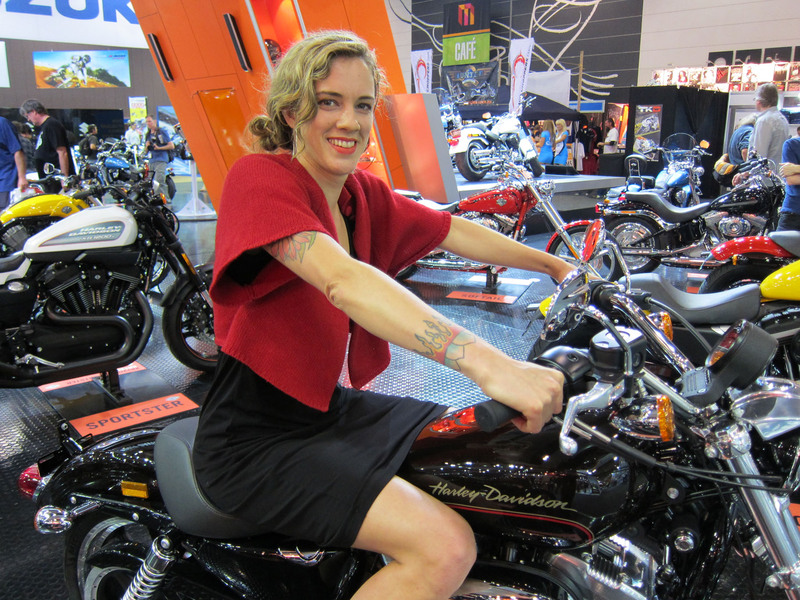 I approach a creepy dude manning the Harley stand at the MCEC’s Motorcycle Expo and ask him if I can sit astride my chosen model. “You can sit on whatever you like,” he shoots back. Er, touché. But very well, if we’re playing this game… “You can make me win, can’t you?” I simper, as I fill out the competition form to bag one such beast. He simpers back, folds my form up and puts it in his pocket. Keeper? I’m getting there. Haven’t chosen my outfit yet.